I built the first mammalwatching.com back in 2005, frustrated at how much information birders had to plan their reports, and how little information we mammal watchers had (most mammal info was scavenged from the end of birding reports). I also wanted to share what I had learned about mammal watching – particularly in Australia – as a way to promote the hobby. More interest in mammals ought to mean better protection for species and their habitats. Of course it doesn’t always work like that, but the growing interest in mammal watching has undoubtedly helped some species. 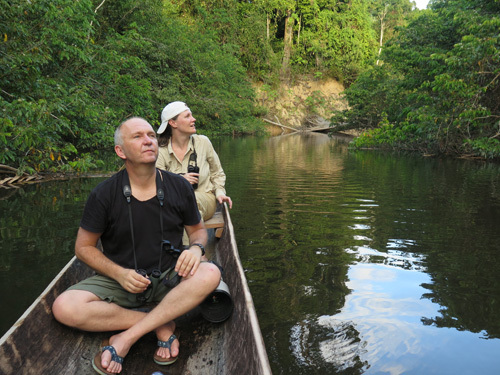 Ecotourism brings income to communities who might not otherwise value their local wildlife. And the growing army of mammal watchers have contributed to scientific knowledge, including through rediscovering species lost to science, like the Javan Small-toothed Palm Civet. The site is primarily designed to provide the sort of information that I find useful when planning a trip: trip reports, books, websites, and checklists. Information is organised by country and countries are grouped into the six major wildlife ecozones. There are other resources too, including a global mammal checklist, gear reviews and more. This site owes everything to those who have been generous enough to share information over the years. If you have a trip reports, or other information that might be useful, please email me at jon@mammalwatching.com. If you have news or questions – on trip planning or species identification for example – then please sign up for our community blog, which is a forum for discussion. 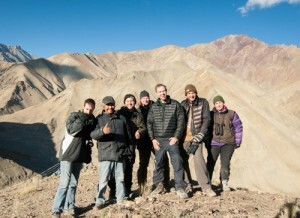 We just saw a Snow Leopard!